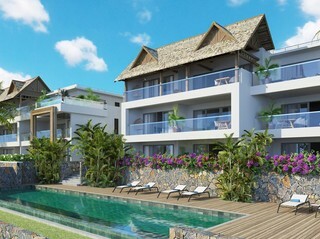 Sign-up and receive Property Email Alerts of Residential New Developments in Grand Gaube, North Mauritius. 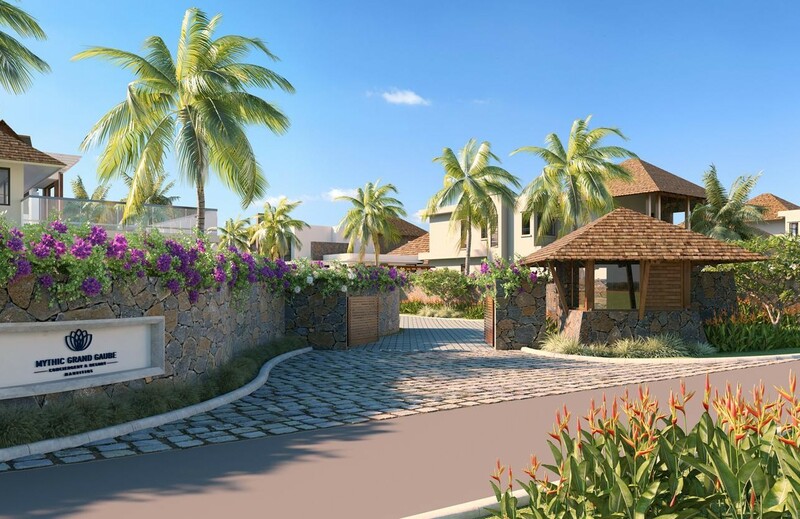 Fully gated and secure, the resort currently has luxurious villas for sale. On one level or with a storey, the villas' living spaces are spacious and well-it. The available villas come with either 3 or 4 en-suite bedrooms. Each villa boasts its own exotic garden and private pool. 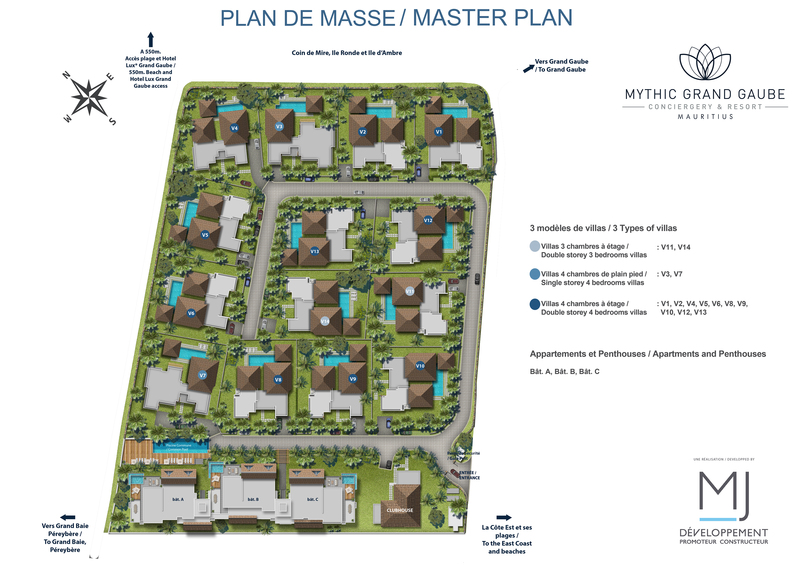 Mythic Grand Gaube also proposes luxury apartments with 3 bedrooms, including penthouses equipped with a pool that offers a panoramic view of the Gunner's Quoin island.